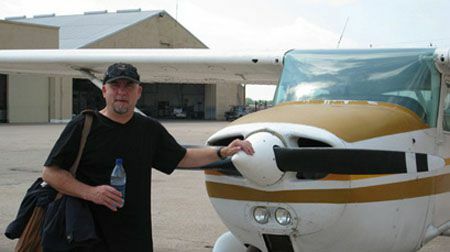 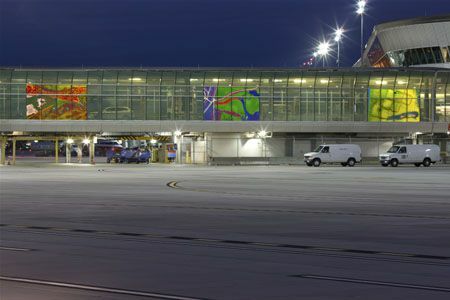 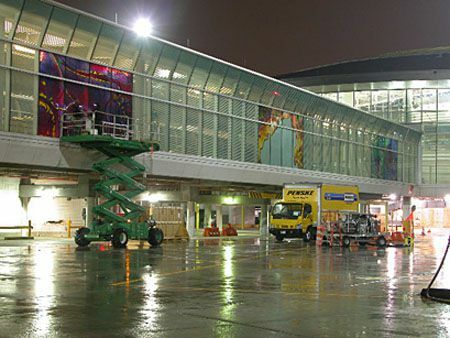 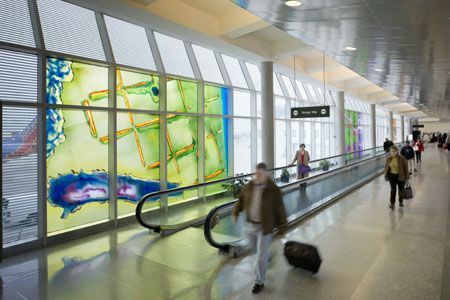 Over Houston was commissioned to Gordon Huether for the connector bridge of the airport. 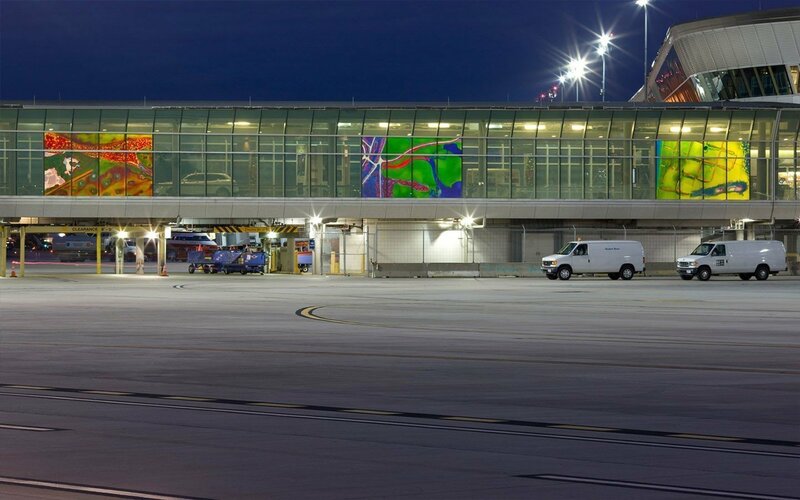 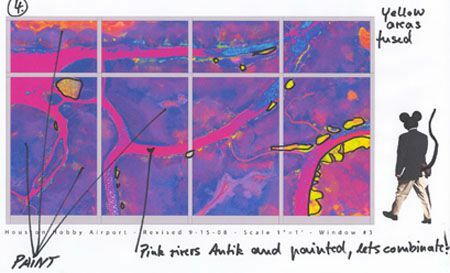 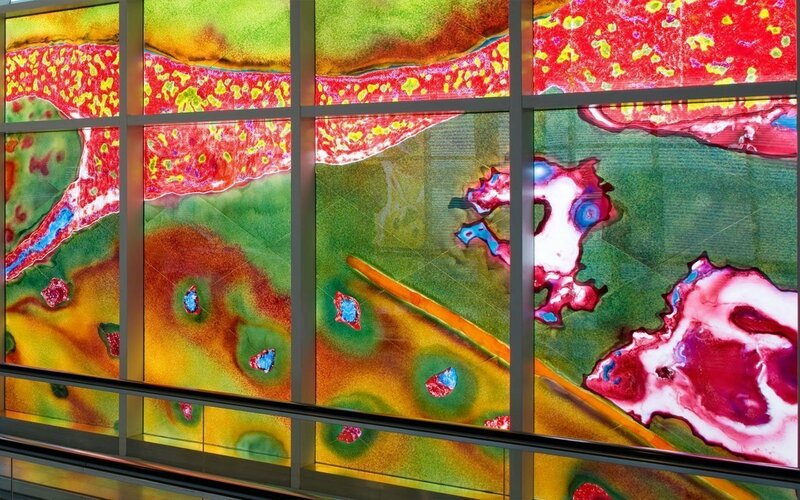 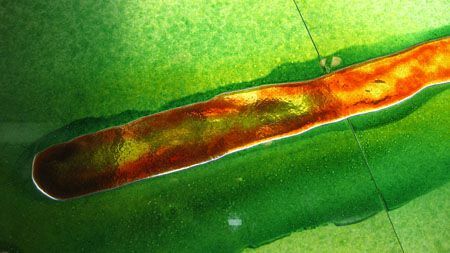 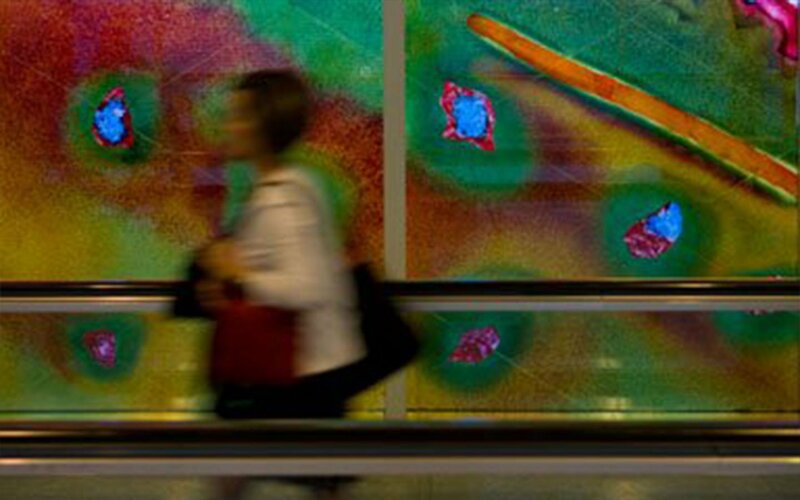 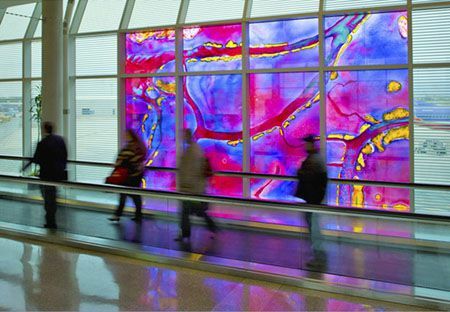 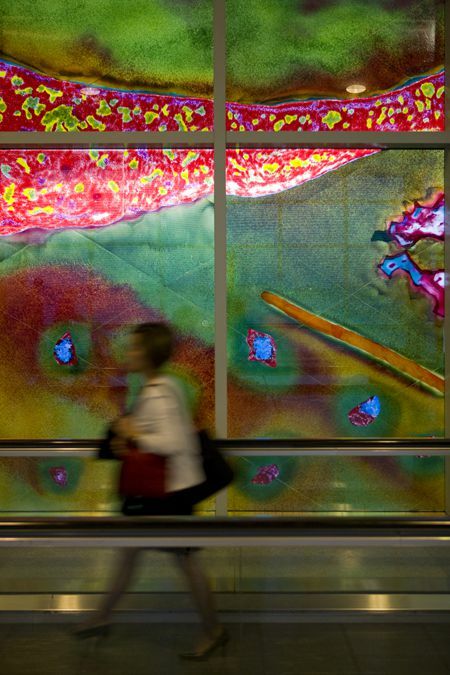 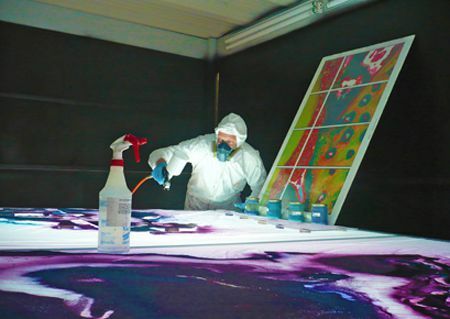 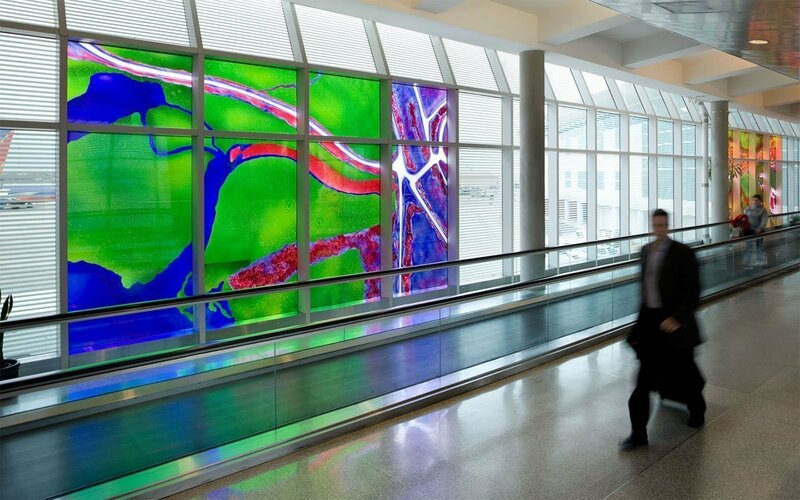 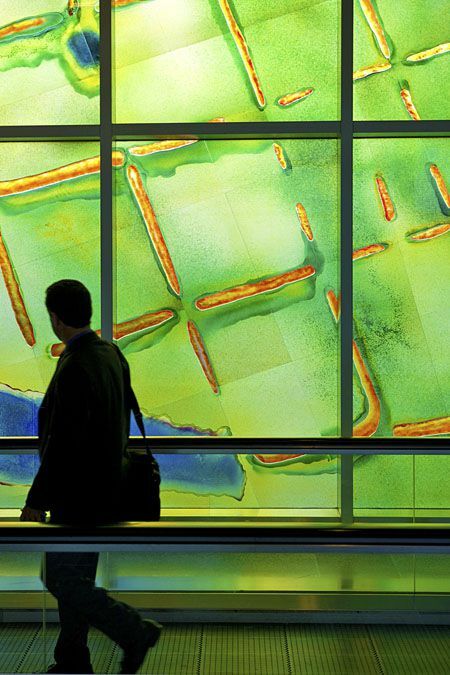 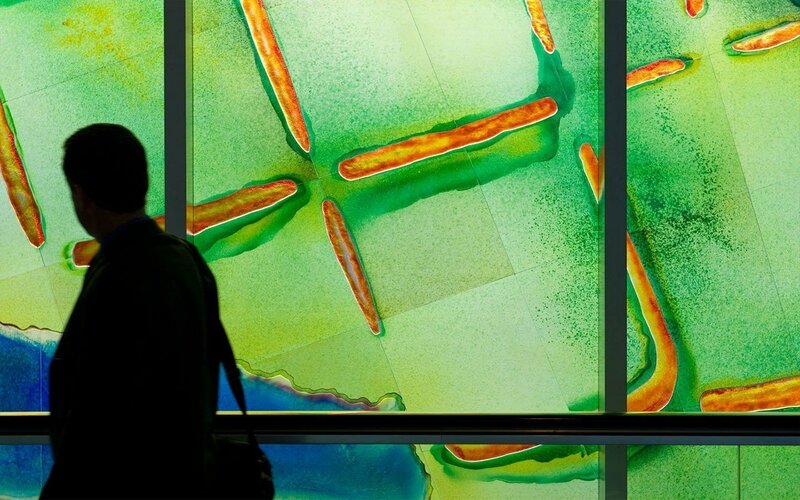 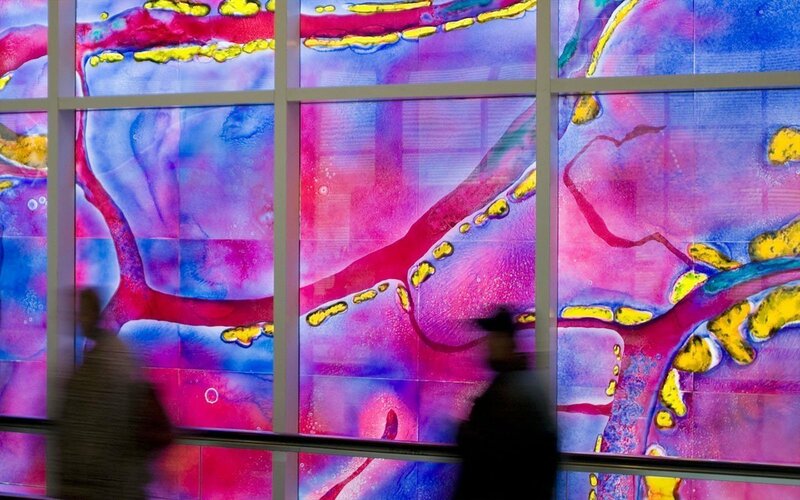 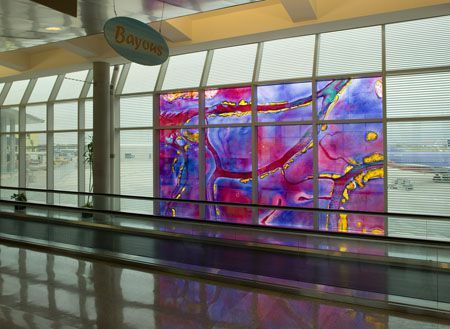 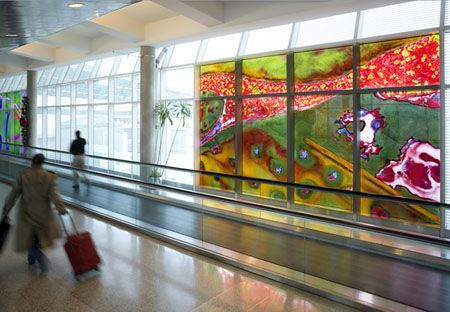 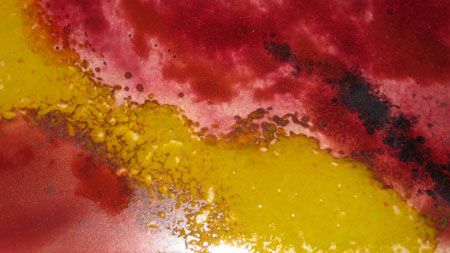 The six 12 x 20-foot art glass panels are composed from imagery Huether abstracted from aerial photographs he shot of Houston and the surrounding area. 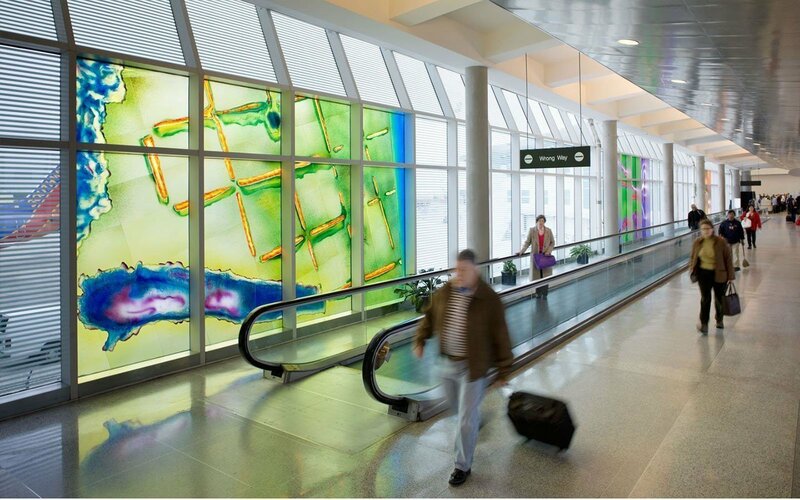 Unique art glass techniques including etching, fusing, laminating and painting were used to fabricate the 48 individual panels that were sealed into insulated hurricane and annealed glass units. 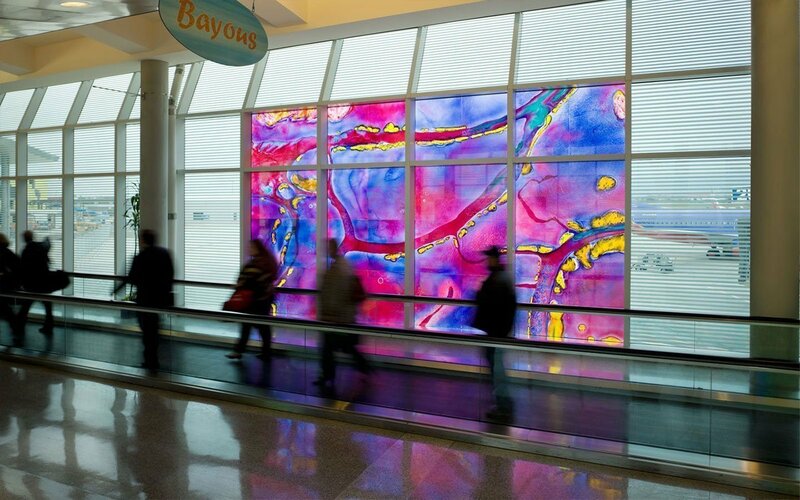 Over Houston tells a story of air travel and illuminates the unique natural and urban landscape as seen from above. 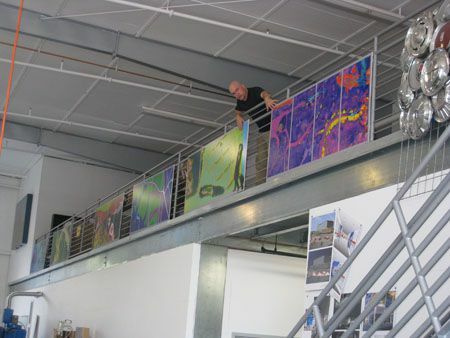 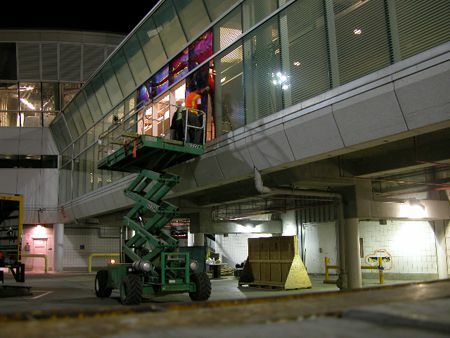 The entire installation measures: 11’H x 120’W.